Arrest, originally uploaded by truublooo*. 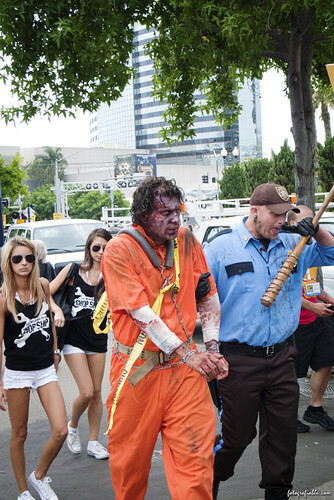 Police arrested a purported male zombie yesterday, downtown, near the convention center. It must be Comic-Con week-end, in San Diego.